Sue’s life began on March 26, 1949 in El Dorado. She is the daughter of Frederick V. and Sarah Mae (Martindale) Hill. Sue attended St. John’s the Evangelist School and graduated from El Dorado High School in 1967. Sue had worked for IPS Cardwell and later for Pizza Hut where she retired as a district manager. She was a member of St. John’s the Evangelist Catholic Church and helped prepare meals for various church ministries. She was a member of the NRA, an avid supporter of President Trump and a true patriot. Sue’s greatest joy was her grandchildren. Her loving family includes her children Wendy Anderson of El Dorado, Dustin (Amanda) Anderson of Claremore, OK and Nathan Hill of Bozeman, MT; grandchildren Halle and Madelyn Anderson; siblings Virginia West of El Dorado, Rosalie (Dan) Hatfield of Belle Plain, and Sam (Kathy) Hill of CA. 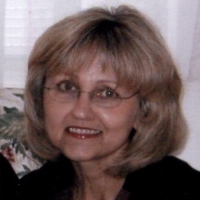 Sue passed away at her home on January 22, 2019. She is preceded in death by her parents, and siblings Jerry Hill, Ray Hill, Cheryl Stewart, Jim Hill, Dorene Hill, William Albert, Mary Ellen, and Frances Marie. Her family will gather with friends on Sunday from 2-4 p.m. at the Carlson Colonial Funeral Home where her rosary service will begin at 4 p.m. Mass of Christian Burial will be celebrated on Monday at 10 a.m. at St. John the Evangelist Catholic Church led by Father John Lanzrath. She will be laid to rest in Sunset Lawns Cemetery. Memorial contributions in Sue’s name may be directed to Folds of Honor. Please sign her online guestbook and leave a memory of Sue at www.carlsoncolonial.com.